Shabbos House is literally a “Home Away From Home” with an on-site family to create a lived-in welcoming home atmosphere. This is no 9-5 operation, we live here and we love it! 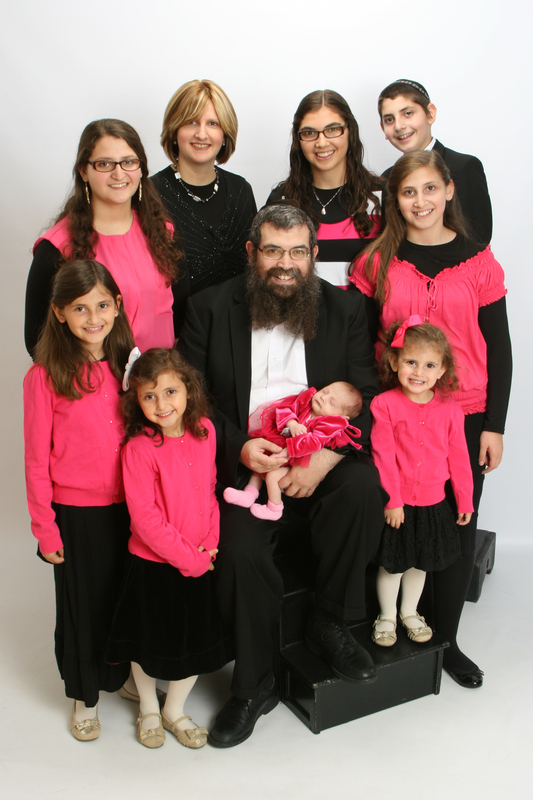 Rabbi Mendel and Raizy Rubin and family are the directors and family-in-residence at Shabbos House since Fall 1997. The original plan in Fall 1997 was to try Shabbos House for a year, but we fell in love with it, and hope to continue here for years to come. Rabbi Mendel was raised in Albany NY, and studied in Yeshiva and Rabbinical schools in Brooklyn, Paris and Israel. He enjoys preparing and sharing creative classes and relevant Dvar Torahs. He also teaches Talmud, Chassidic Thought and directs the TNT (Torah ‘n Technology) and APPS Programs at the Maimonides Hebrew Day School in Albany. Raizy Rubin was born and raised in Brooklyn. Her parents and family, the Galperins, frequently come to Shabbos House for Jewish holidays. Raizy studied in Brooklyn and Michigan, and also teaches part-time at the Maimonides Hebrew Day School and High School. She keeps Shabbos House running from cooking to accounting. She especially enjoys quality time working with students, preparing and planning and getting things done. The Rubin children attend Maimonides Hebrew Day School, and are an integral part of Shabbos House life and activities. Students and alumni over the years remember the kids in various stages of growth. Throughout the years, no matter what age, whether toddler or teen, they are at the heart of Shabbos House. “Where every Jew is Family” is part of the Shabbos House tag-line, and we mean it. We truly consider students and alumni to be part of our extended family. We chose a selection of Purim pictures from over the years for our Family Photos slider, because Purim pictures are creative, colorful, and full of expression. Joy and celebration are hallmarks of the Shabbos House experience.